Does Your Business Need Janitorial Services in Charlotte NC? Medical Space or Business in Need of Janitorial Services? Every company knows how important fresh, clean flooring is to create a positive, inviting environment for both staff and customers. However, finding janitorial services who can put together an individual floor package at competitive prices which cover all your building service requirements can be tough. Every client is different in their approach to enhancing the quality of their working environment. 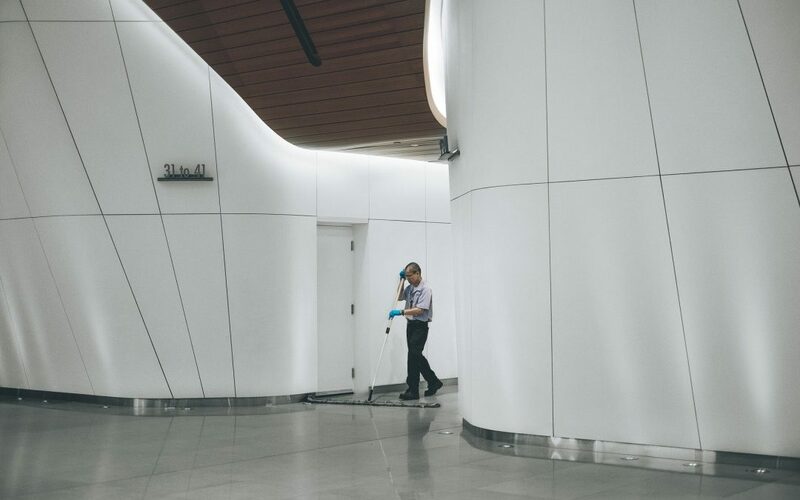 Some companies need basic janitorial services after hours, while others need regular deep cleans on a strict schedule. It’s often the case that when you hire a company to carry out janitorial work in your building, they can only do the basics. If you need a floor specialist or carpet cleaner, this has to be subcontracted out. In these cases, businesses need someone who can clean their floors, but also maintain them at a high level. Here at NewGen Restores, as floor care specialists, we set ourselves apart from other janitorial companies by offering a full package of services. We understand exactly what our customers expect their flooring to look like, especially in facilities governed by high health standards. In many buildings, such as medical care facilities, the condition and cleanliness of the flooring and bathrooms can have a huge impact on staff and customers. We’re a smaller company with over 30 years of commercial cleaning experience, focusing our efforts on customer satisfaction and care. Whether you’re a large nationally ranked company or a small growing business, we attend to client needs with the utmost integrity and customer care. If you need daily, weekly, monthly or even quarterly services, we have the capacity to meet your needs. NewGen Restores has the tools, machines, and manpower to ensure your floors are shiny and spotless and your facility is in pristine condition. NewGen Restores proudly offers Commercial Janitorial services to Charlotte, Ballantyne, Pineville, Fort Mill, Rock Hill, Tega Cay, Waxhaw, Monroe, and the surrounding areas. Hard floor surfaces are part of our expertise – from VCT to LVT, LVP, and concrete, our qualified team creates a floor care plan specific to your needs. We use the best disinfectant cleaners, appropriate for the workspace and flooring. Our janitorial services don’t just involve mopping dirty floors. We use the latest cleaning techniques and methods to provide businesses with the highest standard of excellence. Stripping and Waxing – Using our high speed buffers, we will strip the old dull wax from your floors and apply 4 new coats of our premium commercial grade wax to bring back the shine to your floors. Burnishing – we use a high speed propane burnisher that brings back the shine without having to fully strip and wax the floors. Tile Cleaning – utilizing our special tool made specifically for tile and grout, high pressure and steam, we are equipt to remove the dirt and mold build up in your bathrooms, kitchens or lobby areas. We’ve got plenty of experience working in medical facilities, food service industries, office buildings, industrial spaces, churches and more, and have an entire portfolio of satisfied customers. We take care of various buildings ranging from 15,000 to 150,000 square feet, and this includes medical care facilities such as Novant. Being a floor care specialist means we’re well-positioned to offer a detailed clean from top to bottom. This may also involve windows cleaning, and the stripping and waxing of VCT. We also have the scope and capacity to deal with your commercial carpet care needs. Our commitment to providing exceptional value and quality service stands us apart from your regular janitorial company. No subcontractors. Spotless floors. Competitive pricing. Interested in Janitorial Services? Get in touch today for a FREE quote.